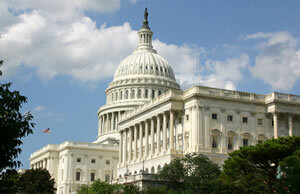 The 112th United States Congress convened for the first time on January 3, 2011. For the last two years, it has been the body responsible for creating the legislation that, if signed by the President, became the new laws of the country. As the 113th Congress is poised to take over that role, it is a good time to review the legislative effects of the 112th Congress as it relates to coinage and the United States Mint. The U.S. Mint follows the direction of Congress not only in its requirement to strike the circulating coinage of the nation, but also as to which commemorative coins it issues. Under newly created legislation in the 112th Congress, five commemorative coin programs became law after signed by President Obama. Many other coin related bills were also introduced in the last two years, but they failed in making it to the President’s desk. Information on passed and proposed commemorative coin legislation is offered below. A summary follows of the five new commemorative coin programs passed by the 112th Congress. The United States Marshals Service 225th Anniversary Commemorative Coin Act directs the Secretary of the Treasury (and thus the U.S. Mint) to strike and release up to 100,000 $5 gold coins, 500,000 silver dollars and 750,000 half-dollar coins in commemoration of the 225th anniversary of the establishment of the United States Marshals Service. These coins go on sale beginning in 2015. The first $5,000,000 raised through surcharges on the sale of each commemorative coin will be forwarded to the U.S. Marshals Museum, Inc. Any surcharges raised over the 5,000,000 level will be split evenly between the Federal Law Enforcement Officers Association Foundation, the National Center for Missing & Exploited Children and the National Law Enforcement Officers Memorial Fund. enable it to invest in youth and those affected by a major disaster. In 2016, up to 100,00 $5 gold coins and 350,000 silver dollars will be issued by the U.S. Mint in commemoration of Mark Twain, the pen name of author Samuel Clemens. The U.S. Mint will collect a surcharge of $35 per gold coin sold and $10 per silver dollar sold. These surcharges will be split evenly between: the Mark Twain House & Museum in Hartford, Connecticut; University of California, Berkeley, California, for the benefit of the Mark Twain Project at the Bancroft Library; Elmira College, New York, to be used for research and education purposes; and the Mark Twain Boyhood Home and Museum in Hannibal, Missouri. The National Baseball Hall of Fame Commemorative Coin Act directs the U.S. Mint to strike and release up to 50,000 $5 gold coins, 400,000 silver dollars and 750,000 half-dollar coins in recognition and celebration of the National Baseball Hall of Fame. The coins debut in 2014. The gold and silver commemoratives may be unique in the fact that Congress requested (if it does not significantly add to the cost) that they have a convex reverse to more closely resemble a baseball and a concave obverse. Surcharges collected on sales will be forwarded to the National Baseball Hall of Fame to help finance its operations. In 2015, up to 500,000 silver dollars will be released by the U.S. Mint as directed in the March of Dimes Commemorative Coin Act of 2012. These coins will be struck in recognition and celebration of the 75th anniversary of the establishment of the March of Dimes Foundation. The $10 surcharge collected on the sale of each silver dollar is to be forwarded to the March of Dimes to help finance research, education, and services aimed at improving the health of women, infants, and children. Offered below is summary information on other coin bills introduced by members of the 112th Congress but did not become law. Latest Major Action: 3/23/2011 Referred to House subcommittee. Status: Referred to the Subcommittee on Domestic Monetary Policy and Technology. Latest Major Action: 9/13/2011 House committee/subcommittee actions. Status: Subcommittee Hearings Held. Latest Major Action: 5/2/2011 Referred to House subcommittee. Status: Referred to the Subcommittee on Domestic Monetary Policy and Technology. Latest Major Action: 6/2/2011 Referred to House subcommittee. Status: Referred to the Subcommittee on Domestic Monetary Policy and Technology. Latest Major Action: 7/19/2011 Referred to House subcommittee. Status: Referred to the Subcommittee on Domestic Monetary Policy and Technology. Latest Major Action: 8/22/2011 Referred to House subcommittee. Status: Referred to the Subcommittee on Domestic Monetary Policy and Technology. Latest Major Action: 10/4/2011 Referred to House subcommittee. Status: Referred to the Subcommittee on Domestic Monetary Policy and Technology. Latest Major Action: 10/21/2011 Referred to House subcommittee. Status: Referred to the Subcommittee on Domestic Monetary Policy and Technology. H.R.3512: To amend the Abraham Lincoln Commemorative Coin Act to adjust how surcharges are distributed. Latest Major Action: 11/30/2011 House committee/subcommittee actions. Status: Ordered to be Reported by Voice Vote. Latest Major Action: 11/29/2012 House committee/subcommittee actions. Status: Subcommittee Hearings Held. Latest Major Action: 2/9/2012 Referred to House subcommittee. Status: Referred to the Subcommittee on Domestic Monetary Policy and Technology. Latest Major Action: 8/2/2012 Received in the Senate. Latest Major Action: 4/26/2012 Referred to House subcommittee. Status: Referred to the Subcommittee on Domestic Monetary Policy and Technology. Latest Major Action: 7/11/2012 Referred to House subcommittee. Status: Referred to the Subcommittee on Domestic Monetary Policy and Technology. Latest Major Action: 6/20/2012 Referred to House committee. Status: Referred to the House Committee on Energy and Commerce. H.R.6133: To provide clarity on the use of National Infantry Museum and Soldier Center Commemorative Coin surcharges, the use of Abraham Lincoln Commemorative Coin surcharges, and for other purposes. Latest Major Action: 7/31/2012 Referred to House subcommittee. Status: Referred to the Subcommittee on Domestic Monetary Policy and Technology. Latest Major Action: 10/1/2012 Referred to House subcommittee. Status: Referred to the Subcommittee on Domestic Monetary Policy and Technology. Latest Major Action: 10/23/2012 Referred to House subcommittee. Status: Referred to the Subcommittee on Domestic Monetary Policy and Technology. Latest Major Action: 3/2/2011 Referred to Senate committee. Status: Read twice and referred to the Committee on Banking, Housing, and Urban Affairs. Latest Major Action: 5/5/2011 Referred to Senate committee. Status: Read twice and referred to the Committee on Banking, Housing, and Urban Affairs. Latest Major Action: 6/13/2011 Referred to Senate committee. Status: Read twice and referred to the Committee on Banking, Housing, and Urban Affairs. Latest Major Action: 7/30/2012 Held at the desk. S.1385: A bill to terminate the $1 presidential coin program. Latest Major Action: 7/19/2011 Referred to Senate committee. Status: Read twice and referred to the Committee on Banking, Housing, and Urban Affairs. Latest Major Action: 9/15/2011 Placed on Senate Legislative Calendar under General Orders. Calendar No. 171. Latest Major Action: 11/30/2011 Referred to Senate committee. Status: Read twice and referred to the Committee on Banking, Housing, and Urban Affairs. Latest Major Action: 12/1/2011 Referred to Senate committee. Status: Read twice and referred to the Committee on Banking, Housing, and Urban Affairs. Latest Major Action: 1/26/2012 Referred to Senate committee. Status: Read twice and referred to the Committee on Banking, Housing, and Urban Affairs. Latest Major Action: 1/31/2012 Referred to Senate committee. Status: Read twice and referred to the Committee on Banking, Housing, and Urban Affairs. Latest Major Action: 5/10/2012 Referred to Senate committee. Status: Read twice and referred to the Committee on Banking, Housing, and Urban Affairs. Latest Major Action: 6/14/2012 Placed on Senate Legislative Calendar under General Orders. Calendar No. 429. S.3363: A bill to provide for the use of National Infantry Museum and Soldier Center Commemorative Coin surcharges, and for other purposes. Latest Major Action: 8/2/2012 Referred to Senate committee. Status: Read twice and referred to the Committee on Banking, Housing, and Urban Affairs. Latest Major Action: 9/21/2012 Referred to Senate committee. Status: Read twice and referred to the Committee on Banking, Housing, and Urban Affairs.